Poll: Current Thoughts on McKee’s Northside Regeneration Project? An Ordinance authorizing the execution of a project agreement between the City of St. Louis and Northside Regeneration, LLC; prescribing the form and details of said agreement; authorizing other related actions in connection therewith; and containing a severability clause. A St. Louis judge threw out a city ordinance Friday that authorized $390 million in tax increment financing – the largest in the city’s history – for Paul McKee Jr.’s $8.1 billion NorthSide redevelopment. So McKee’s Northside Regeneration project is the subject of the poll this week (upper right of blog). Last week there were 314 votes in the weekly poll. Q: How do you feel about Judge Dierker tossing out the $390m TIF for Paul McKee’s $8.1b NorthSide project? The idea was a bold and positive one. The TIF was too large of an area, however. Paul McKee had not an ounce of good intentions for the area in question, greed. 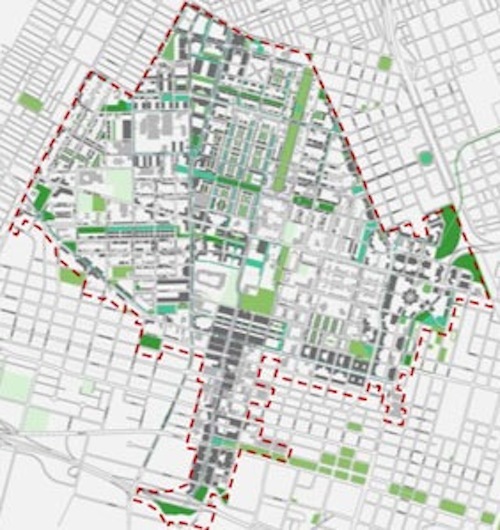 Good – a new plan w/ more community-based redevelopment needs to be made. We need the north side redevelope. The poll this week is about the decision of Judge Dierker with respect to the TIF ordinance.Â The provided answers give you two levels of positive and negative as well as a neutral — they are presented in a random order. You can also provide your own answer and add your comment below. The first phase of the Northside redevelopment project as proposed by Paul McKee is to focus on the â€œjob centersâ€ and mixed use areas. Numbers are being thrown around as to imply thousands of jobs will be created by this project. I wonder what measure will be used to declare the project a success with respect to jobs by those proposing the plan. The project will require a lot of construction jobs, which is a fact. These are people that would not have been needed otherwise. The time frame of twenty years implies the jobs will be needed for an extended duration compared to most construction projects. Despite that scope and time frame, do construction jobs truly help grow the area? Even with such a long time frame the jobs are only temporary. It is unreasonable to assume that someone could graduate, make a career of the project, and retire when it is done. Based on retirement accounts requirements they would still have another twenty years of work.Â Shouldnâ€™t the expectation for jobs created be that the jobs are permanent? Yes,t his economy has shown that no job is truly permanent, But no matter the time frameÂ construction jobs are by nature temporary. The 40/64 concrete river project demonstrates that. When 40 is complete construction will continue in the region, but will all those workers stay in St Louis? I doubt it. Some of them will return when the new Mississippi bridge starts up in full. There will probably be projects after that, but I donâ€™t want the fate of the regionâ€™s job growth to depend on never ending highway work.Â Local restaurants can’t move around the region at will to follow the construction.Â They need permanent customers to keep open. Looking at the McKee track record for development makes me wary, too. He touts his Winghaven and NorthPark projects as examples of what he and his associates can accomplish. The two projects boast two of the regions larger employers in Express Scripts and MasterCard. Unfortunately both these employers were already in the region before they moved into their new offices.Â More specifically, they were in the same city. Sorry, Maryland Heights, I hope you didn’t need those taxes. True, Express Scripts was threatening to leave the area and NorthPark help keep them here, along with some tax incentives. Also, MasterCard had outgrown its offices in Maryland Heights and needed new digs. But in the end, McKee merely helped keep jobs from leaving. Preventing negative growth is not the same thing as creating new growth. Who does McKee plan on luring into the north city for this new project? I doubt Edward Jones is going to give up all their brand new buildings along 270.Â Do you think InBev is tired of the historic brewery yet? Additionally, there is the dilemma of existing projects already in work to compete with. Winghaven still has space available for development. NorthPark is basically a field with nice streets. Express Scripts isnâ€™t even in the development, instead choosing to be south of I-70 next to UMSL. The old Ford Plant has been wiped out of existence and Hazelwood is dieing to get some tax base back on that land. The current economy has opened up business space in areas like Earth City and Westport. The occupancy rate downtown offices are not that great. And these are just some examples of places in the region vying for new jobs. What if the Northside development center gets all the new jobs in the coming years and every where else in the metro area remains stagnant? Finally, the current economic conditions do not bode well for new jobs. Every region of the country is going to fight to keep what they have. Other cities are constantly offering huge incentives to attract growth. Just look at what it took to keep Express Scripts. What exactly does Paul McKee have to offer to convince a company to move to St Louis when it is hard to keep the ones already here? St Louis will be wrangling with every other city in the country for each new job. Not to imply it is a contest St Louis cannot win, but it wonâ€™t be as easy as some people are implying. The Lou is not the only place that will be offering new buildings and tax incentives in the coming years. That still leaves the possibility of start-ups as the source of new jobs. Might the next Google or Facebook start up in north St Louis? A future global company setting up roots in the new development could be the pinnacle of the project. Unfortunately, as many failed businessmen will tell you, there are more failures than success with new companies. For just having jobs associated with it? Having low end retail jobs new to the city? Pulling jobs into the city from around the metro area? Preventing jobs from leaving the metro area? Getting new jobs at the cost of other developments in the metro area? Being the founding location of a future Fortune 500 company? Permanent new to the region jobs, while not sucking up all growth in the metro area, will be my measure of success. Since the middle of May, I have supervised an organic produce stand at the Tower Grove Park Farmers’ Market on Saturday mornings. I can’t tell you how many people have walked in front of our stand, wandered in to look at the produce, and bought produce from my co-workers and I. While there are occasional newcomers to the market, I usually find myself greeting a familiar face who is holding a canvas bag, ready to fill it with our organic produce. The newbies who shop at the market are greeted with a chaotic scene: dozens of people walking up and down the market paths, searching for that “perfect” peach, apple, radish, cucumber or bundle of Swiss Chard. There are people of all shapes, sizes, ethnicity, religions and creeds who shop at the market, and they usually bring their kids, dogs and significant others with them. That’s why I feel that a farmers’ market is an excellent way to tie a community together. Citizens from all walks of life can interact with each other in a comfortable setting and learn about each other and locally grown produce as well. I know that I have learned alot about the fabric of urban life in St. Louis, especially South City, while I have been at the market. The engine behind the farmers’ market is the farm that supplies the market with fresh produce. Tower Grove Park’s Farmers’ Market has a variety of suppliers and a few of them are local urban farms. Our farm, City Seeds,Â is in downtown St. Louis, a couple of blocks east of Jefferson Ave close to Union Station. Consequently, we have had produce stolen from the property, we find people sleeping there on occasion, and we normally have to walk around the farm each morning and pick up trash, but the farm continues to prosper and inspire people who visit it and volunteer with us. I feel that our farm makes a positive difference in the downtown St. Louis community but our location may be compromised by Paul McKee’s Northside plan. But, that day is hopefully a way off and until Mr. McKee’s bulldozer destroys our property, we’re going to keep farming on it. Finally, I pose a question to you, the loyal Urban Review STL reader: do you shop at local farmers’ markets (and I’m not talking about Soulard. 75% of the produce there is trucked in from California. Shocking, isn’t it?)? If so, which ones and why? Also, how could your favorite farmers’ market better serve you? More variety, perhaps?